French Champion Arthur Vichot took the final stage of Paris Nice today, out-sprinting Jose Rojas in Nice. Carlos Betancur sealed the overall win ahead of the World Champion Rui Costa. Stage 7 of Paris-Nice stage goes in 195.5 mountainous kilometres from Mougins Biot Sophia Antipolis. 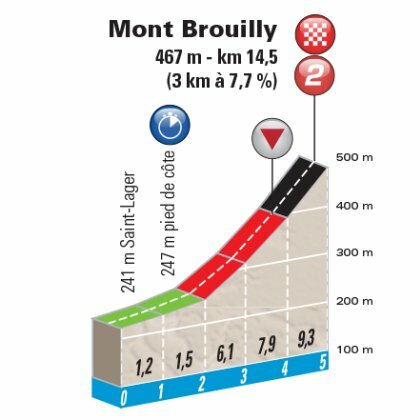 The finish is atop a short and steep 1.5 kilometre climb. Dutchman Tom-Jelte Slagter shows his form and takes his second day victory. World Champion Rui Costa comes in second, GC leader Carlos Betancur third, all in the same time. The 6th stage starts in Saint-Saturnin-lès-Avignon and finishes in Fayence, in 221.5 kilometres the longest ride this edition. Hills galore and the final 1.5 kilometres go up by 129 meters and offers a 20% section. World Champion Rui Costa attacks, but yesterday's winner Carlos Betancur takes the stage win in the final meters.